1. Remove the two bolts holding the air cleaner to the cylinder block. 2. Remove the air cleaner and discard the gasket. Clean the gasket surfaces. Do not damage the machined surfaces. NOTE: Some air compressors do not have an air cleaner attached to the air compressor. These models are hose connected to the engine air cleaner. 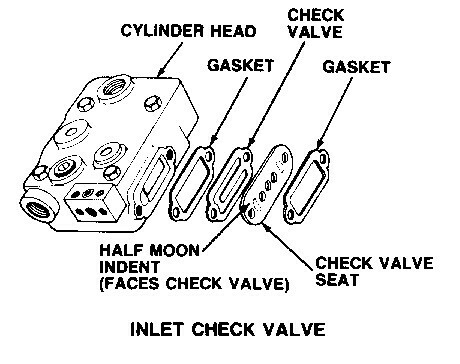 With this type application, the inlet (air) manifold should be removed from the cylinder block by removing the two bolts.